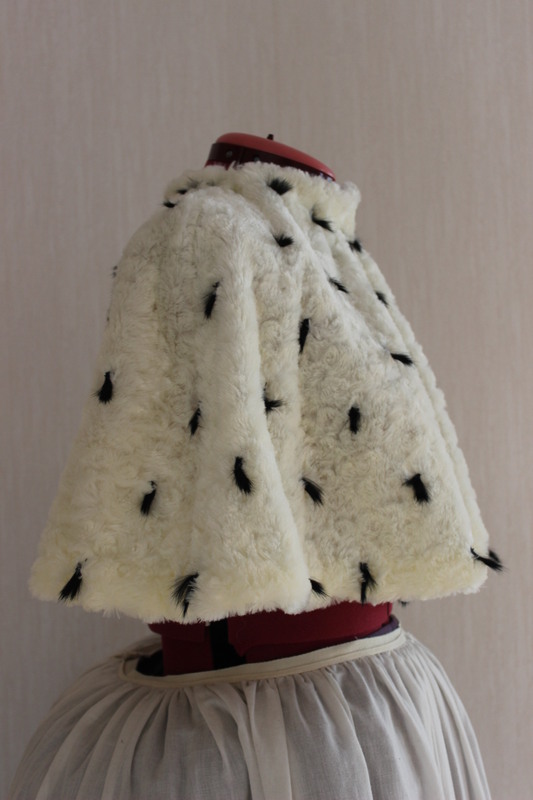 To turn my Elizabeth I dress into something a bit more royal, I decided to make an ermine cape. 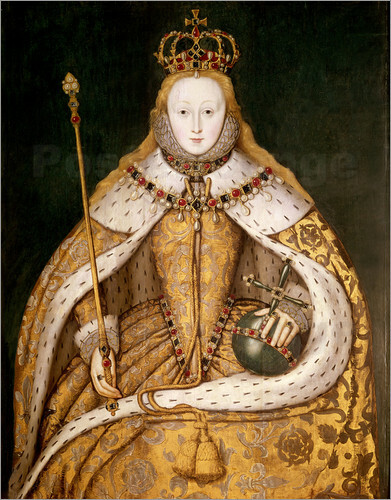 I originally wanted to make a coronation robe like the one my inspiration painting (below), but since I only got scraps left from the dress fabric, I opted for a simpler (and more theatrical/fake) style. 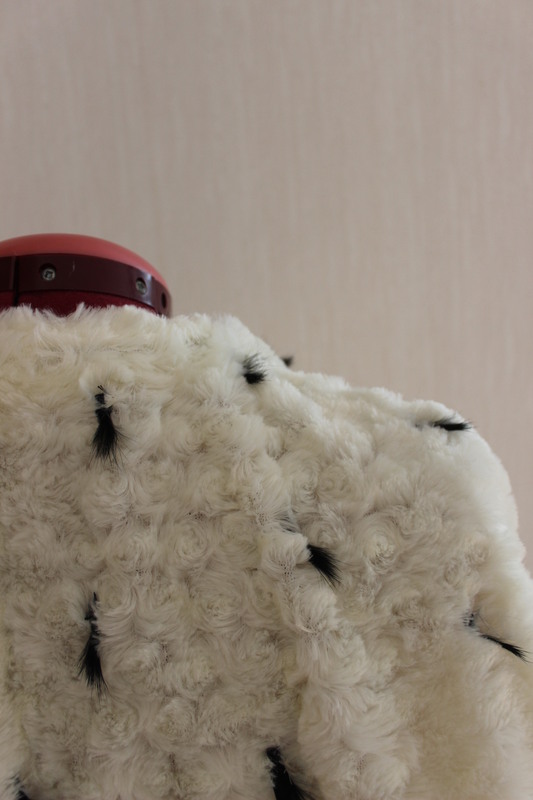 I used my old cape pattern, and a soft white fake fur I bought a few years back to made a short cape. 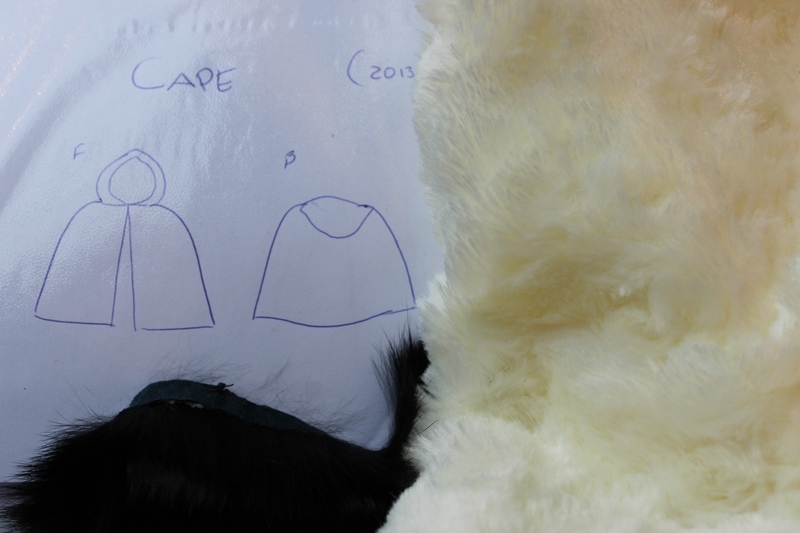 Then I cut small pieces of a black fur trim I had in my stash and placed them on the cape to get the ermine look. 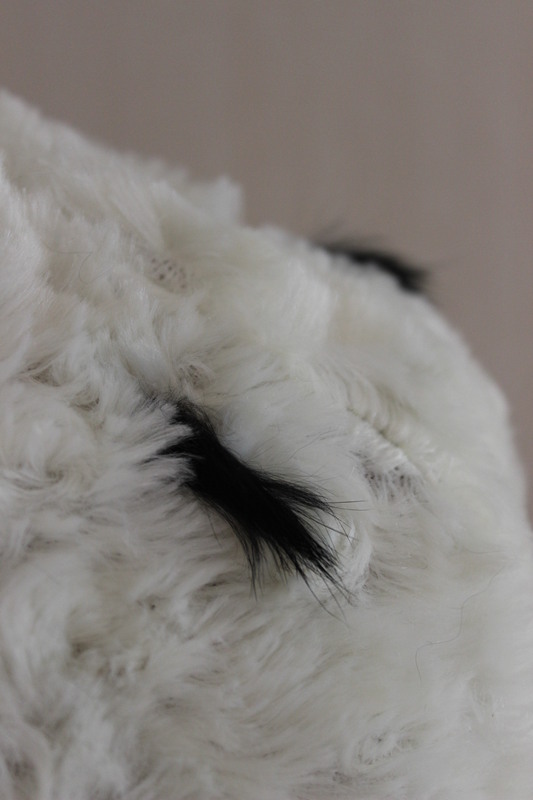 Testing the spaces of the black “tails”. 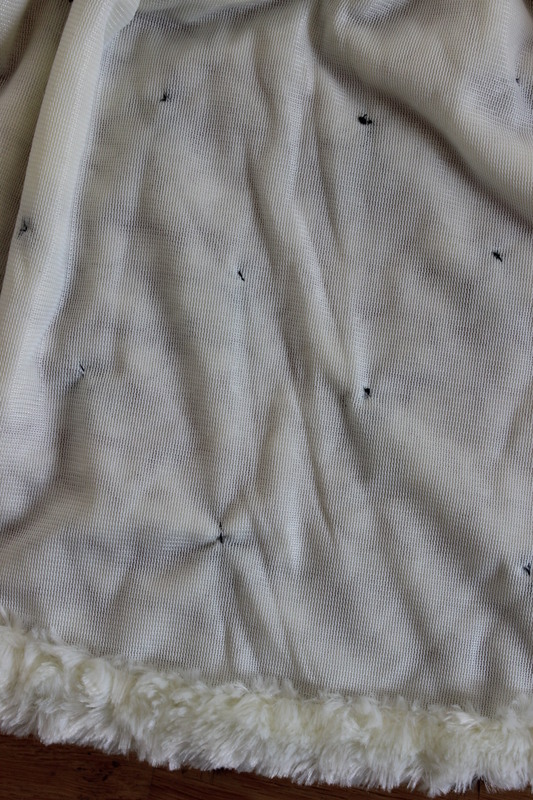 Once I decided their placement I stitched them on by hand. An hour later the cape was finished. 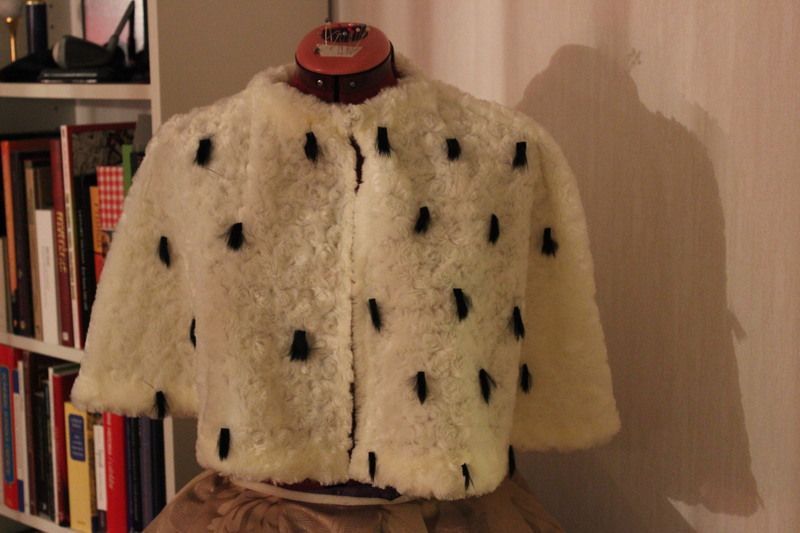 Fabric & Notions: 0,5 m white fake fur, 30 cm black fur trim, thread, hook and eye. 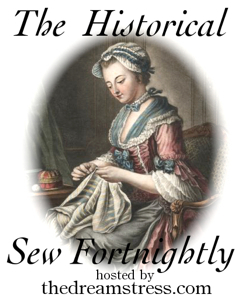 Final Thoughts: Not one of my finest works, but it will do for its theatrical purpose. 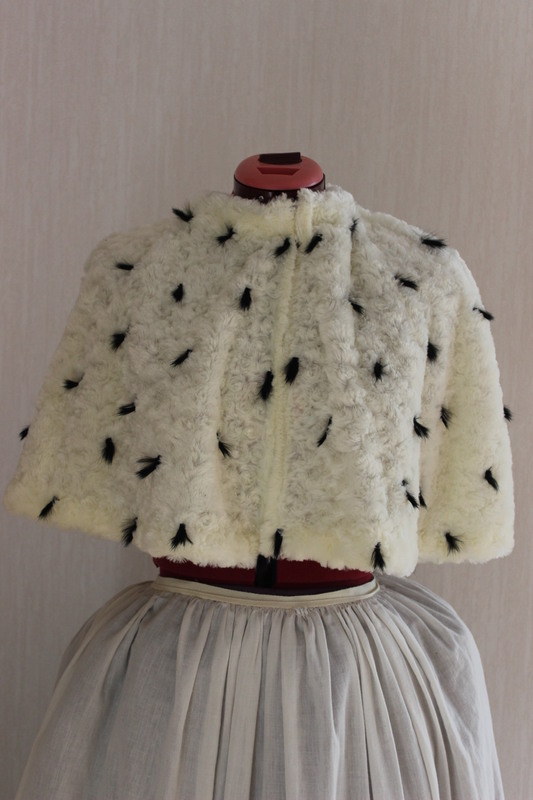 That’s a great way to get the ermine look! I’ll remember that for another time. I think I got the idea from Pinterest. So much work! But It looks so glamourous!